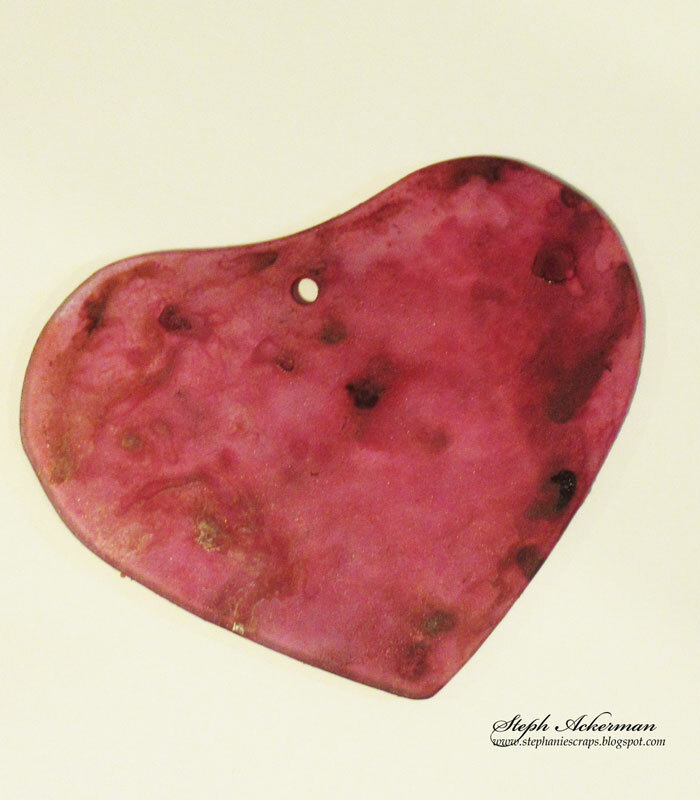 Hi everyone, I've used etchallⓇ dip 'n etch to create a Valentine's heart. 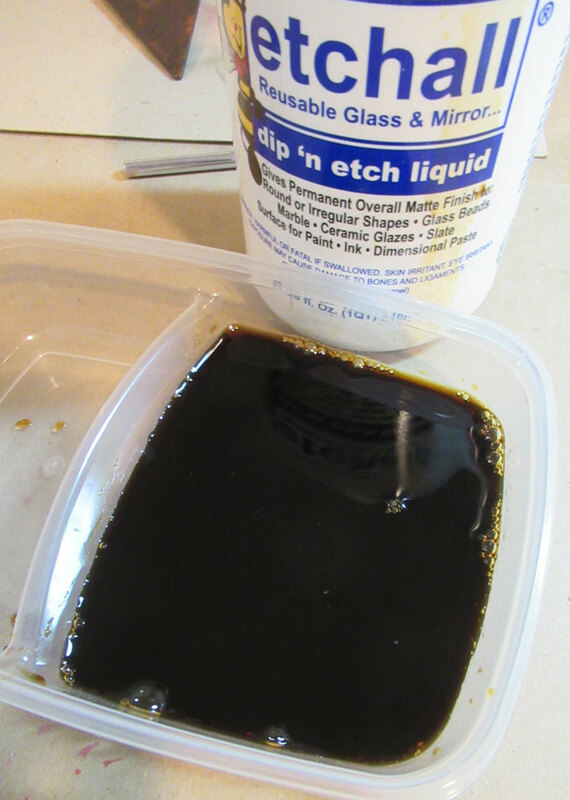 It's extremely hard for ink to set on glass so start with dip 'n etch and you won't be disappointed! 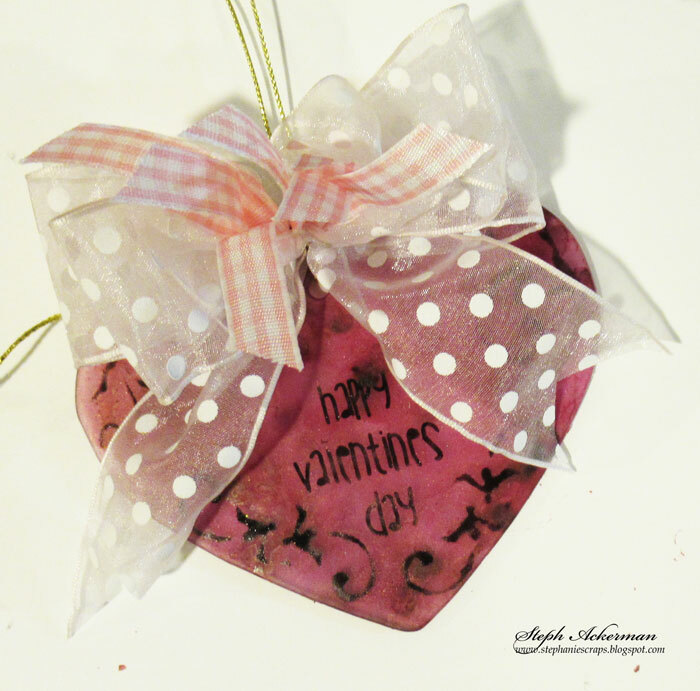 Pour etchallⓇ dip 'n etch liquid in a plastic container and place the glass heart in the container. 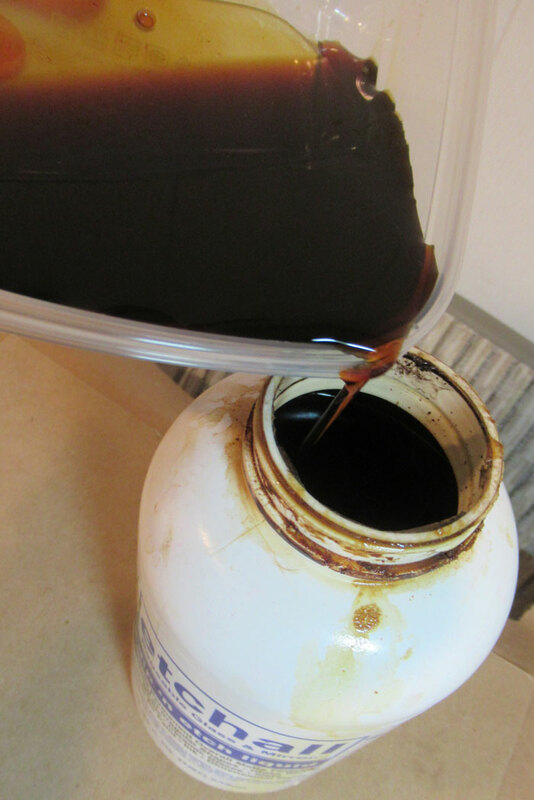 Allow the heart to sit for 15 minutes, then pour the dip 'n etch back in it's container. Dip 'n etch is reusable so there is no waste. 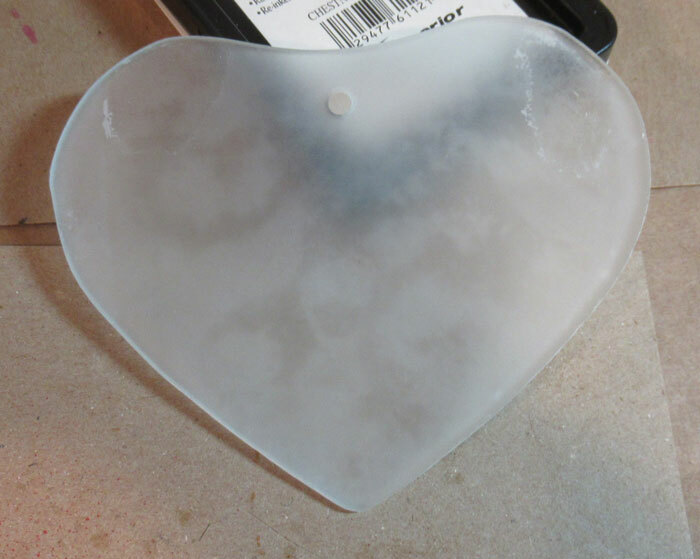 This is the etched heart. I sprayed the etched heart with assorted Tattered Angels Glimmer Mists. Heat setting between each layer stops the colors from getting muddied. Look at all those beautiful colors. 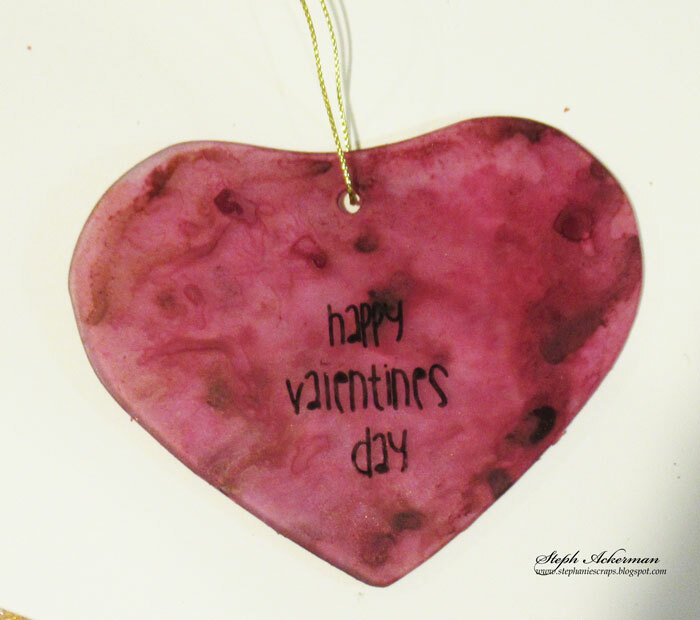 Using VersafineClair Nocture Ink, a new ink from ImagineCrafts, I stamped Happy Valentine's Day in the center. 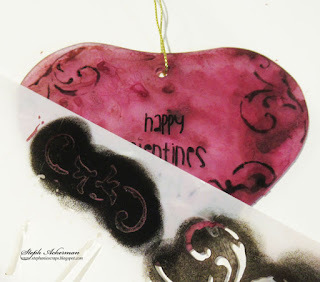 Then, using the same ink with a stencil, I added patterns around the heart. Finally, I added a bow created with the Bowdabra, tying it to the hanger. This would look wonderful hanging in your window, don't you think? It was great seeing you at the show. Hope you enjoyed it as much as we did. My favorite part was seeing my team of etchers!! 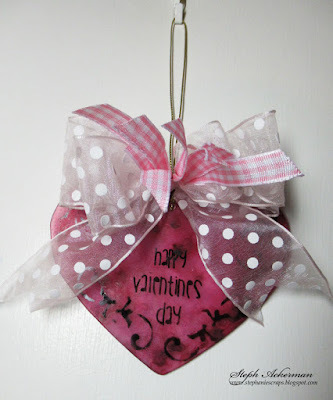 This Valentine heart is so very lovely. I was proud to have it hang in the etchall booth. THANKS!!!! Thank you Barbee. Always wonderful to see you.